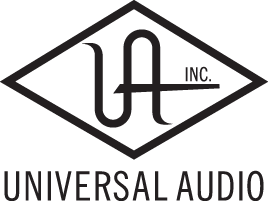 The Universal Audio UAD-2 Satellite USB Octo Core includes eight powerful SHARC DSP chips and connects to a PC via USB 3.0 which delivers improved bandwidth for improved performance at higher sample rates as well as reduced latency compared with the FireWire units. It integrates easily with UAD-2 PCIe cards as well as UAD-2 Satellite FireWire and UAD Apollo Twin USB audio interface giving you unparallel mixing power. The UAD-2 Sateliite USB Octo Core includes the UAD Analog Classics Plus bundle featuring very popular plug-ins such as the UA 610B Preamp and EQ, Precision Enhancer and Precision Mix Rack Collection, RealVerb Pro and legacy versions of the highly popular LA-2A, 1176LN/SE, Fairchild 670 and Pultec Pro EQ emulations. USB 3 DSP card with eight SHARC DSP for Windows based PCs. Comes with the Analog Classics Bundle and a voucher for three plugins available on their online store.